Hannah Salter and Cliff Cardone of the Cardone Law Firm have successfully handled numerous cases for clients who have sustained brain injuries in accidents. These types of cases are scientifically demanding and require specialized attention. The Cardone Law Firm has handled a wide variety of brain injury cases for clients of all ages, our past clients have ranged in age from 5 years old to 78 years old. Our commitment to detail at the Cardone Law Firm allows us to ensure our clients are fully compensated for the serious and potentially lifelong symptoms that come along with brain injuries. If you believe you may have sustained a concussion or a brain injury in an accident, we encourage you to keep reading the information we have collected here. The information on this page will provide you with some insight to your injuries and how your injuries may be assessed in a personal injury case. Most people think about a brain injury in the traditional sense – i.e., someone must actually hit some other object, and have direct impact with that object, to sustain a brain injury. However, a person can sustain a brain injury without hitting any direct physical object. For example, if a person is involved in a high-speed rear end collision, that person can sustain a brain injury from the acceleration and movement of their brain within the skill due to the g-forces from the collision. This is often referred to as a “coup” injury. At the Cardone Law Firm we have handled brain injury cases where clients have had coup injuries and also cases were clients sustained a brain injury due to blunt force trauma. You may be thinking: Where does a concussion fit into these different categories? Clinically, doctors characterize a concussion as a mild traumatic brain injury. There are different grades of concussions from grade 1-3. Most people think a person must lose consciousness to have a concussion, but that is incorrect. In fact, in most people who suffer from a concussion never lose consciousness. A grade 1 concussion is when a person has an altered mental state lasting less than 15 minutes without loss of consciousness. A grade 2 concussion is when a person has an altered mental status lasting more than 15 minutes without loss of consciousness. A grade 3 concussion is when a person has any loss of consciousness. Although most recover from a mild traumatic brain injury, many do not and often develop post-concussive syndrome and/or post-traumatic stress disorder. There are many reasons one may not recover from a mild traumatic brain injury and there are certain factors which may put an individual at risk for a prolonged recovery. Those who do not recover from a mild traumatic brain injury and develop post-concussive syndrome and/or post-traumatic stress disorder are those who need an attorney the most to ensure their rights are protected and their injuries fully examined. A moderate traumatic brain injury is generally associated with any loss of consciousness greater than 15 minutes but less than 24 hours. These patients usually remain in a hospital setting for several weeks and frequently require rehabilitation in a facility thereafter and usually cannot return to their pre-injury level of function. A stroke can be categorized as a moderate traumatic brain injury but depending on the severity, a stroke may also be categorized as a severe traumatic brain injury. The Cardone Law Firm has handled all categories of traumatic brain injuries. Some of our clients recover quickly, and others must live with their injuries for the rest of their lives. Our mission is to get each client the proper treatment and assessment of their brain injury. Having a lawyer by your side during this time is critical because there are multiple factors that go into fully assessing and understanding a brain injury. One of the first things used to assess a brain injury is a scale used by medical professionals called the Glasgow Coma Scale, abbreviated “GCS.” The Glasgow Coma Scale is not an imaging test, but rather a physical exam conducted on the person which includes includes a set of three tests: eyes, verbal and motor responses. The tests measure a person’s level of consciousness after a head or brain injury. The Glasgow Coma Scale is measured in the acute trauma setting when a person is in the emergency room or an ambulance and is conducted immediately after an accident. There is controversy with the use of Glasgow Coma Scale because it is primarily a tool for managing a patient in an acute setting with a severe traumatic brain injury. Glasgow Coma Scale testing will be repeated periodically while the patient is in the emergency room or ambulance to determine whether there is an internal brain bleed or swelling that is progressing which may call for immediate intervention by a neurosurgeon. The Glasgow Coma Scale is not predictive of post-acute recovery in mild and moderate traumatic brain injury cases, but rather designed to assess severe traumatic brain injuries. The Glasgow Coma Scale ranges from scores of 3-15. The lowest score of 3 indicates a person who is deceased or in a deep coma. The highest score of 15 indicates a person who is fully awake. The results of a Glasgow Coma Scale are often not indicative of whether a brain injury occurred, and the results can be deceiving. To put things in perspective, a dog could get a perfect score on the Glasgow Coma Scale. If you complain of headaches, a head injury or a brain injury following an accident, it is likely your healthcare provider will order a MRI, CT or CAT Scan. This is the most basic form of imaging study which can be conducted. Often a MRI, CT or CAT Scan will show “normal” results if there is not any bleeding or swelling in the brain. However, just because the preliminary results are classified as “normal,” this does not mean you did not sustain a brain injury, it may just be the brain injury cannot be detected by this type of low resolution imaging. Mild traumatic brain injuries may not be visible on traditional neuroimaging studies such as the CT Scan and the MRI. While structural injuries may have occurred to the brain, they cannot be detected on these basic types of imaging because these tests are not sensitive enough. Further, CT Scans done on the day of the accident may only show damage to bones and not brain tissue. CT Scans tell us very little about non-operative brain injuries. A CT Scan is mainly only good for detecting swelling or shifting of the brain structures, accumulations of blood, and fractures of the skull and facial bones. Although a MRI is more sensitive than a CT Scan, over 65% of patients who undergo an MRI show no signs of structural abnormalities. The quality of the MRI can also vary based on the type and age of the MRI machine. A MRI scan uses magnets which allow the molecules in the brain to resonate. The higher the “Tesla” in the MRI machine, the more powerful the magnet. With a more powerful magnet, the scan can detect smaller things. A 1.5 Tesla (“1.5T”) MRI machine is what most clinics are still using. A 3 Tesla (“3T”) MRI machine is more expensive and usually only found in research settings, but the quality of the results are better because they yield a higher resolution because of the stronger magnet. Those examined under a 3T as opposed to a 1.5T MRI machine have a better shot at assuring a full and proper assessment of their head and brain injury is made. All tests listed above are conducted separately and the quality of each test is different. For certain reasons, an individual may undergo multiple imaging tests. 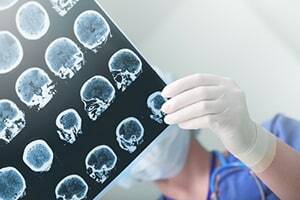 When our clients are involved in litigation concerning their brain injury, we consult with experts to determine what additional testing beyond the basic MRI and CAT Scan could help prove our case. Further testing is critical due to poor resolution and poor sensitivity of MRI and CAT Scans. Further testing is important also because each test measures different injuries to the brain. For example, a SPECT scan can detect lesions which were not picked up by an MRI. As research and modern medicine continues to develop, we see the value of having additional testing conducted. At the Cardone Law Firm, we are on the cutting edge by ensuring our clients receive the best and newest types of imaging, so their injuries may be fully assessed and work closely with doctors to ensure our clients receive the best care. A neurologist is one of the most common experts we use in our brain injury cases and we have worked with the best neurologists in Louisiana to obtain recovery for our clients. A neurologist is a physician who is trained in diagnosing and treating disorders of the nervous system and the brain. A neurologist will usually conduct a physical exam which tests vision, strength, reflexes, coordination and sensation. Generally, in a brain injury case, the neurologist is the doctor who will refer an individual for a neuropsychological examination, manage the individual’s medications and order additional testing if necessary. We also work with neurosurgeons in more traumatic cases. A neurosurgeon is usually only involved if surgery is necessary to address bleeding or swelling in the brain. Neuropsychologists and neuroradiologists are two other vital experts we often consult with in traumatic brain injury cases. A neuropsychologist studies the relationship between the brain and a person’s behavior by performing an in-person interview of the individual and then the neuropsychologist requires the individual to complete a number of written standardized tests. The interview and standardized testing can last multiple hours. Each test is associated with cognitive and behavioral functions associated with different areas of the brain. The test results are then compared with test results of other individuals of similar age and background. From the interview and test results, the neuropsychologist will make conclusions about the brain. The neuropsychologist may then prescribe a treatment plan based on the results, but the neuropsychologist does not actually provide medical treatment to the individual. A neuroradiologist is a radiologist who specializes in interpreting images of the brain, spinal cord, head and neck. To become a neuroradiologist, a radiologist must undergo 2 years of additional training following 4 years of radiology residency. If you go to the emergency room and have a MRI of your brain, your MRI is most likely to be interpreted by a regular radiologist not a neuroradiologist. It is not necessary or required that your MRI be interpreted by a neuroradiologist, but in many cases, it can be beneficial because a neuroradiologist is better trained to spot issues which may show signs of a brain injury. 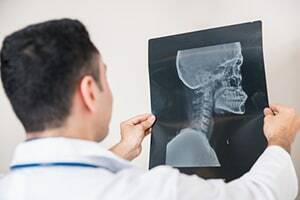 In cases we have brought to trial and mediation for our clients at the Cardone Law Firm, we have hired a neuroradiologist to take a second look at imagining to ensure the radiologist did not miss anything. The neuroradiologist may very well spot problems in the MRI or CT Scan which may be objective evidence of a brain injury which were not originally spotted by the radiologist. The neuroradiologist has authority to order additional testing if so warranted. A neuroradiologist can also help explain to the jury that a “normal” MRI or CAT Scan does not necessarily mean there is no brain injury. This is important because studies have determined over half of the people who sustained a mild traumatic brain injury did not receive this diagnosis in the emergency room. A Physical Medicine and Rehabilitation Physician is known as a “physiatrist” or “rehab doctor”. This type of doctor will conduct testing and an exam, and then assign a percentage of impairment to the individual. An impairment rating is one of the most important things an insurance company will look at when assessing whether to pay an individual any money and how much money to pay that individual for their past and future damages. Having an impairment rating assigned is necessary when an individual has multiple injuries sustained in one accident. This is a pitfall for the unwary, or those who think they can handle their personal injury case on their own. This is so because even if a neurologist or neurosurgeon is treating you for a brain injury, they will likely not go to the lengths to have a physiatrist or rehab doctor assign an impairment rating to you. The higher the impairment rating which is assigned the more likely you will be able to recover additional damages. In our more severe traumatic brain injury cases that we handle at the Cardone Law Firm, we hire a Life Care Planner and a Vocational Rehabilitation Specialist. A Life Care Planner is an expert who issues a report after reviewing all of the medical records, medical testimony, interviewing the individual’s treating doctors and meeting with the individual. The Life Care Planner is used as an expert witness at trial or mediation to explain the disability or injury, project how that injury will affect the individual in the future, and to project future costs which may be incurred for future medical care. A Vocational Rehabilitation Specialist is an expert who will offer an opinion on how the injury has changed the individual’s ability to work and make a living and will also assess any costs associated with re-training an individual to return to their former job, if rehabilitation is an option. Our promise to our clients is that the Cardone Law Firm will only work with the best experts in the field. We realize all doctors and experts are not created equal. Most of our clients who come to us at the Cardone Law Firm are hard working individuals. People who take pride in their career and who have worked most of their lives to provide for their families and themselves. If an injury prevents one of our clients from returning to their job because they are no longer able to meet the physical demands of their job, this becomes one of our biggest concerns. Any case where the person has suffered a loss of earning capacity, loss of past wages and/or is not able to return to work, it is necessary for us to hire an economist. An economist will add up all past and future medical expenses and lost wages and then project those amounts over the lifetime of the person. This involves much math and is often challenged by insurance companies as being too speculative. This is where having the right attorney is essential. At the Cardone Law Firm, the expert economists that we hire rely on real figures and have successfully defeated the speculation arguments advanced by insurance companies. We pursue our clients’ rights fully by making sure our economist assesses any lost benefits which you otherwise would have received from your employer including: contributions to health savings accounts, payments towards life insurance and disability insurance policies, stock options, 401K contributions, and any other benefits your employer may have offered you but which you no longer receive due to your injury. It is estimated there are over 1.7 million brain injury related hospital visits per year, with 80% of individuals being treated and released from the emergency room within 24 hours. For those who have sustained a head or brain injury, a quick discharge without further follow-up assessment can put that person at risk. Emergency rooms also do not do a good job at assessing head injuries when a person has more severe injuries which are obvious and apparent to the naked eye. It is believed that many brain injuries are not diagnosed in the emergency room because the brain may be only one of the several things that were injured in a car wreck. When there are multiple injuries, the focus of the emergency room staff tends to be on the more visible injuries. Often a person will not realize they have cognitive and emotional deficits which are a result of a brain injury. By this time, the same deficits can also arguably be related to post traumatic stress disorder or depression from the more visible injuries and insurance companies will rely on this argument to try and defeat your injury claim. In reading this information, we hope we have shown you why hiring an experienced attorney can protect you and your future when you are facing a head and brain injury. At the Cardone Law Firm, we are committed to research, collaborative partnering with the best scholars and best physicians. We believe in constant communication to ensure our clients receive the best medical treatment and legal representation. A head and brain injury case requires the skill of an experienced and well respected attorney. If you have a question about a head or brain injury, you can contact Hannah Salter or Cliff Cardone at the Cardone Law Firm at 504-522-3333 for a free legal consultation.